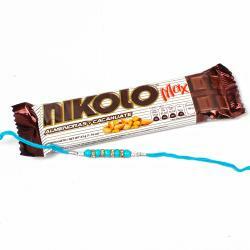 Doki Chocolate Bar (Weight : 13 Gms) with Gonda Rakhi along with Roli Chawal. 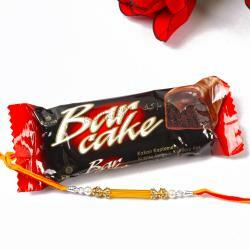 Raksha Bandhan is auspicious occasion it can strengthen the bond between the brother and sister. 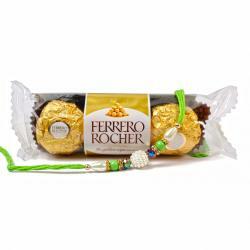 Rakhi that will charm your brothers with its ethnic looks and will adorn your brothers wrist quite wonderfully. 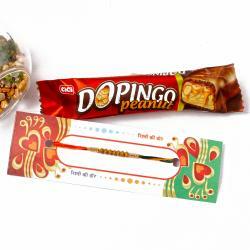 Make your brothers specially blessed by this beautiful Rakhi which Gonda in one thread. Make your brothers feel special by sending them this simple rakhi. 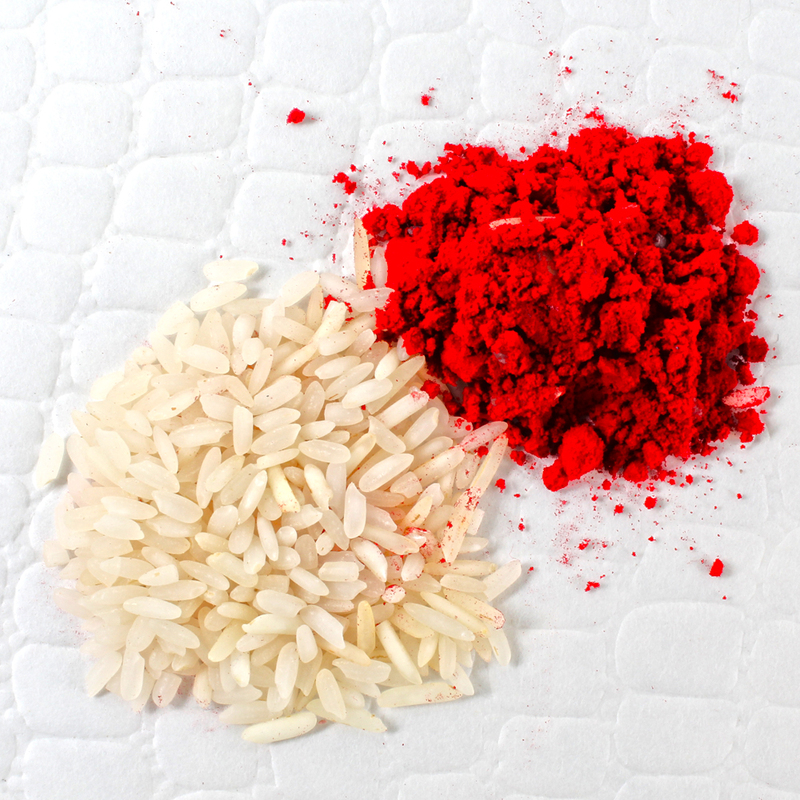 The exquisitely designed Rakhi and Roli Chawal promise to add their own special dimension to the occasion. 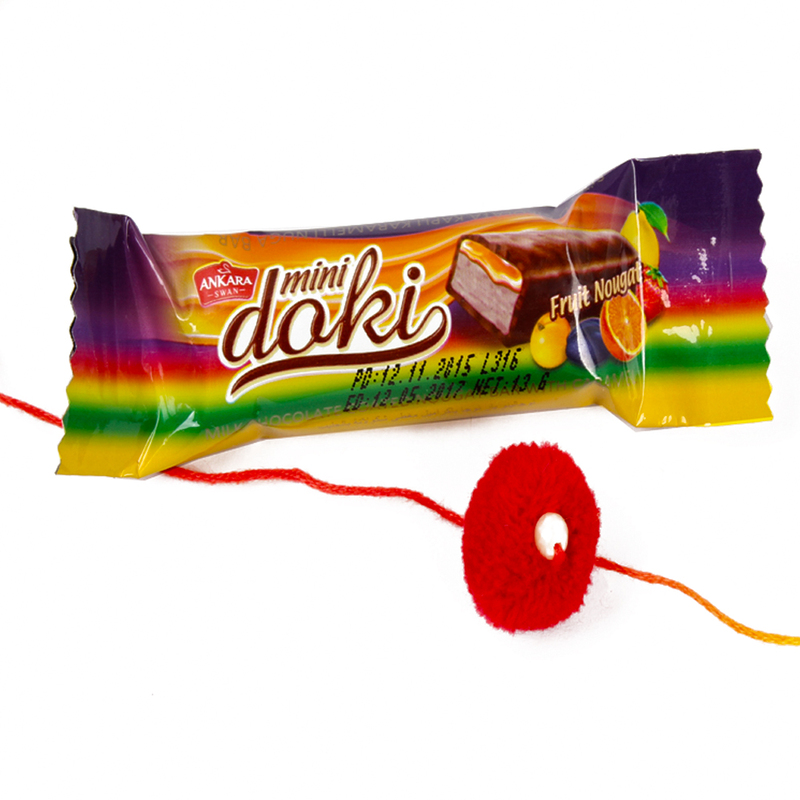 Product Includes : Doki Chocolate Bar (Weight : 13Gms) with Gonda Rakhi along with Roli Chawal.